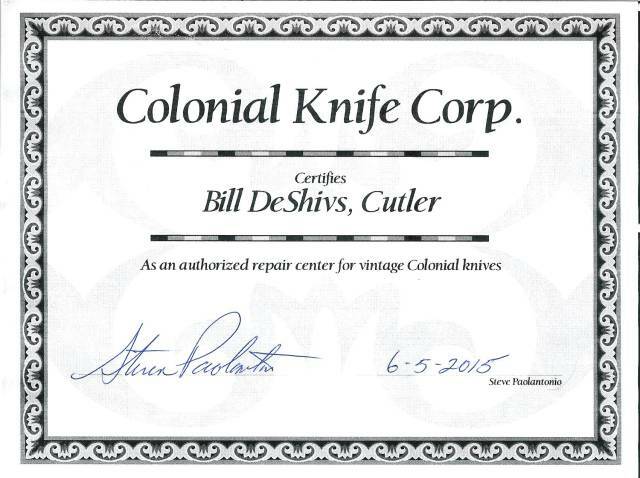 I can repair most knives. My shop is fully equipped to make almost any part or match any finish. I have milling machines, lathes, a rolling mill, belt grinders, buffers, presses, ultrasonic cleaners, drills, electroplating equipment, engraving machines, and many other tools and fixtures. 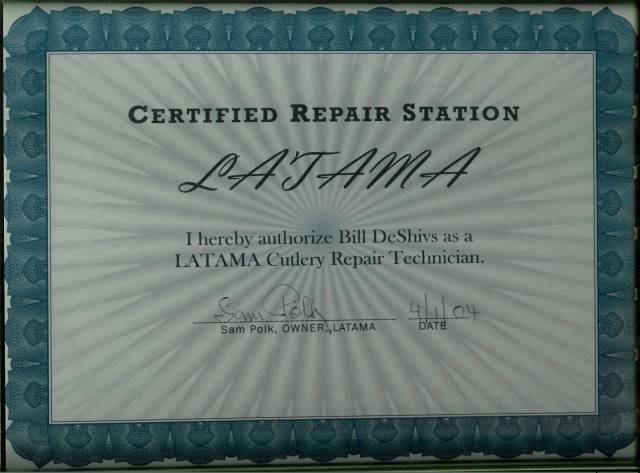 I stock most metals and handle materials. 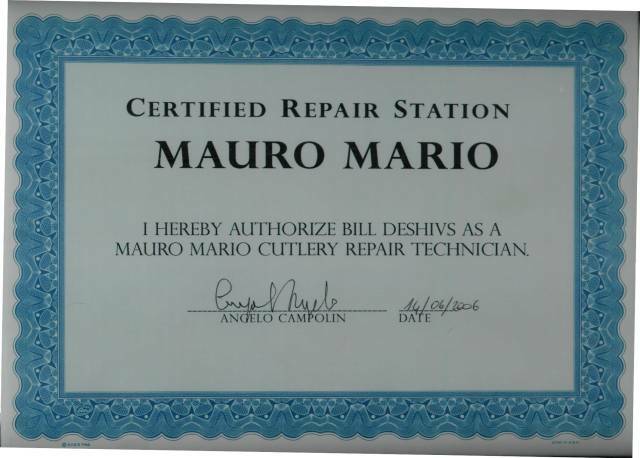 We are factory authorized to repair Colonial, Latama, Mauro Mario, Hubertus, Ritter, and Grafrath knives. 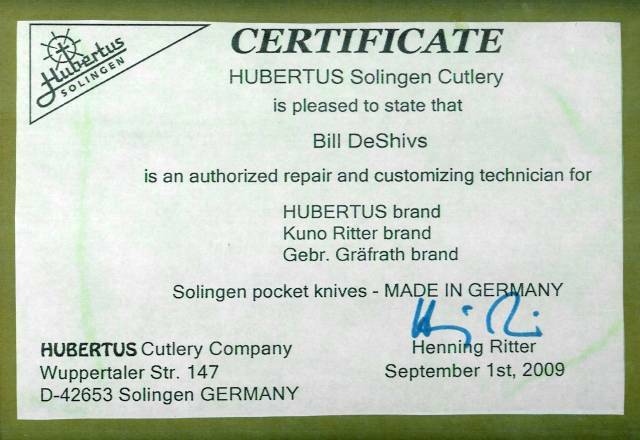 The Kabar factory recommends us for repairs. 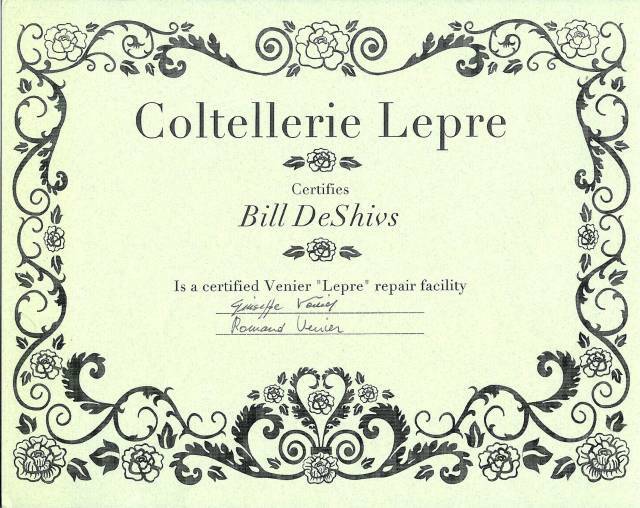 We are now the authorized repair/restoration center for Venier "Lepre" knives. 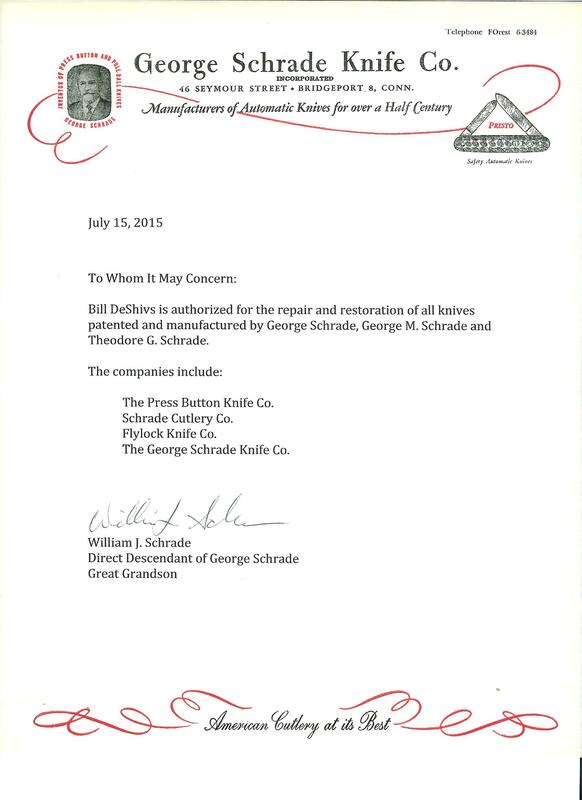 We have just been authorized by George Schrade's great grandson as an authorized Presto-G. Schrade Knife Co., Pressbutton Knife Co., Schrade Cut. 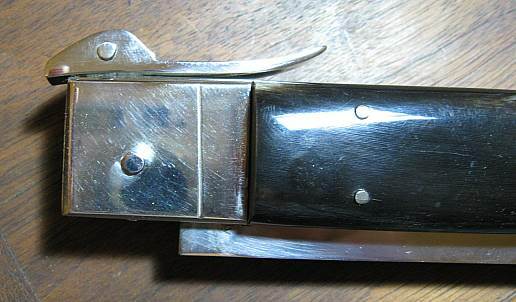 Co. and Challenge/Flylock repair center. 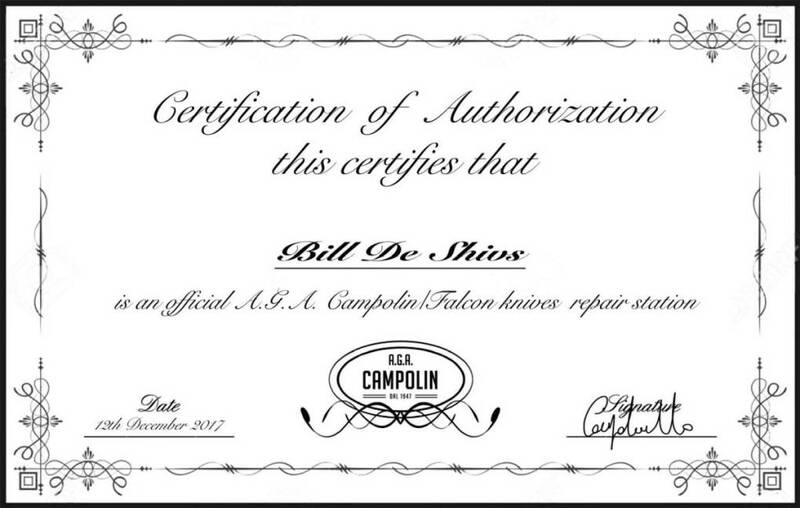 We have been made an official AGA Campolin/Falcon knives repair station. My labor rate is $70.00 per hour.